My big wildlife trip in 2018 was visiting the pantanal in Brazil. To see a jaguar in the wild, this is probably one of the best places in the world. At the end of the transpantaneira is a small town called Porto Joffre. 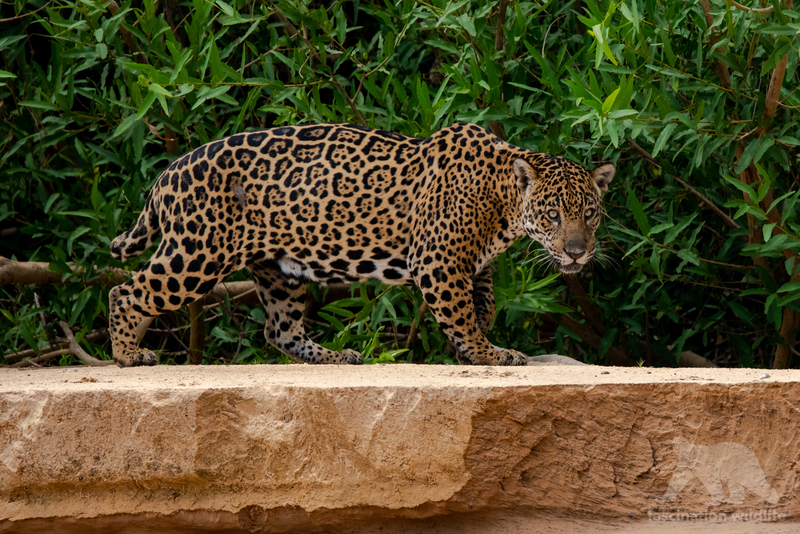 From there most jaguar tours start by boat on the Cuiaba river and its surrounding channels. The jaguars are used to boats as there are many fisher men on the river so they’re not freightened by the boats with the photographers. To find a jaguar is sometimes not that easy cause they’re perfectly camouflaged. They love to hang out at the banks of the river at dusk and dawn and that is where you usually find them. We had incredible encounters with jaguars sometimes only a couple meters away! To see more photos of jaguars and other wildlife of the pantanal click here.